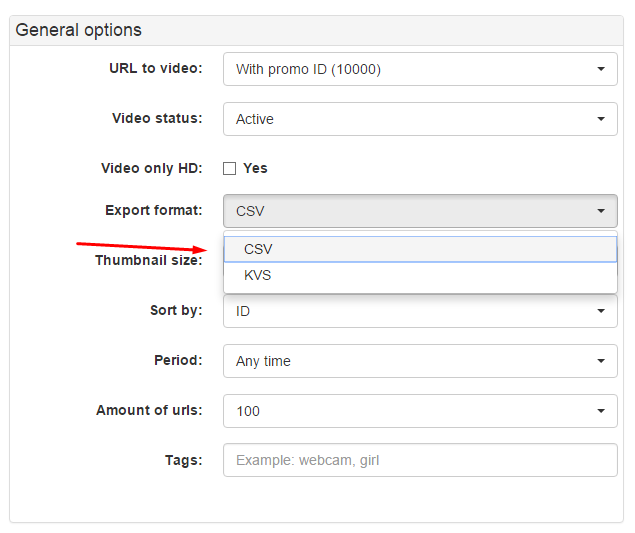 The following guideline describes how to add our content (Titles, Descriptions, Thumbs, Embed, etc.) to your website. 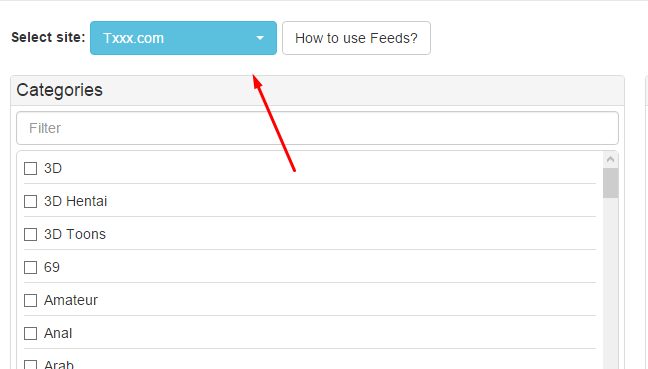 b) Feed could be dowloaded in 2 variants - CSV and KVS. Which format suits you better depends solely on scripts you are using on your websites. 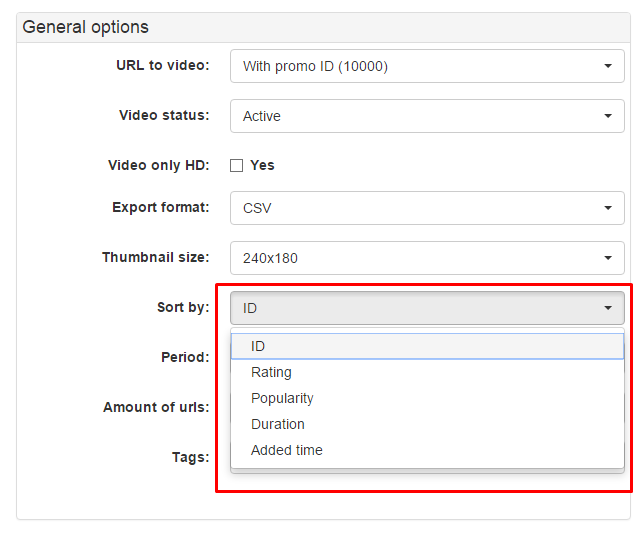 c) Feed videos have got several sorting options: ID, Rating, Popularity, Duration, Added Time. If you want to get full dump of a tube, please use Dumps option in Export Tools section. By default feed includes max 10,000 videos throughout a tube existence (Any Time option). If you'd like to get the most fresh videos, please select Last Day option. If you'd like to get all videos uploaded during last 7 days, please select Last Week. 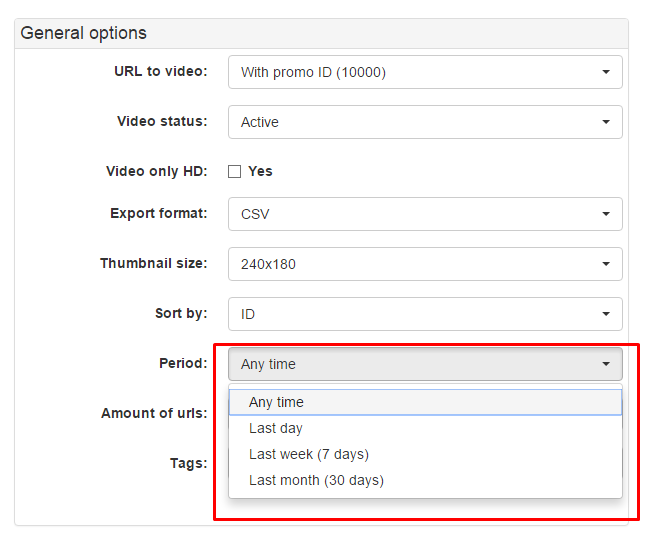 If you'd like your feed to include all videos uploaded to a tube during last 30 days, please select Last Months option. 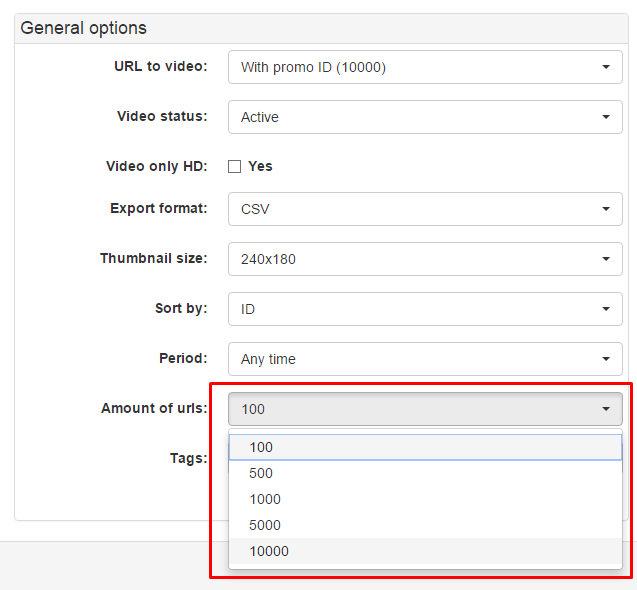 e) By default, maximum amount of videos in one feed is 10,000 videos. If you need more content, you will have to download more than one feed. 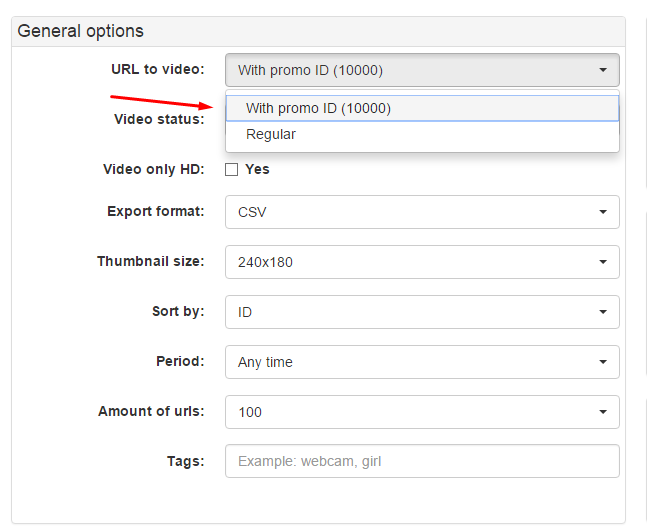 a) Option 'ID greater than' provides videos in accordance with a selected ID range (but please remember, the max. amount of videos is 10,000!). 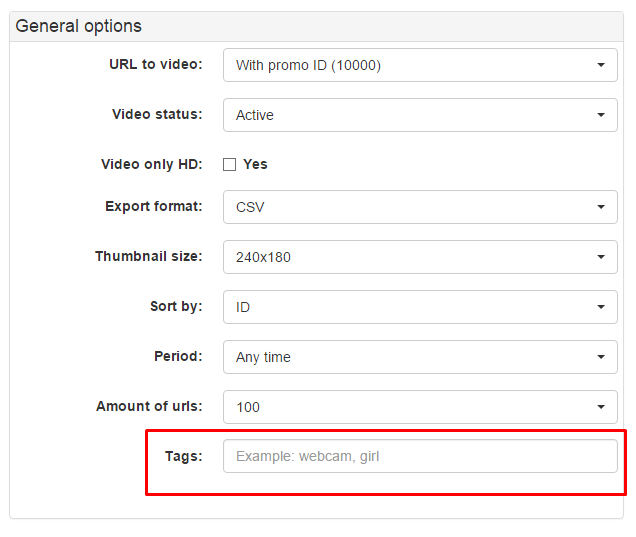 Here you can also specify a minimum and maximum video length. 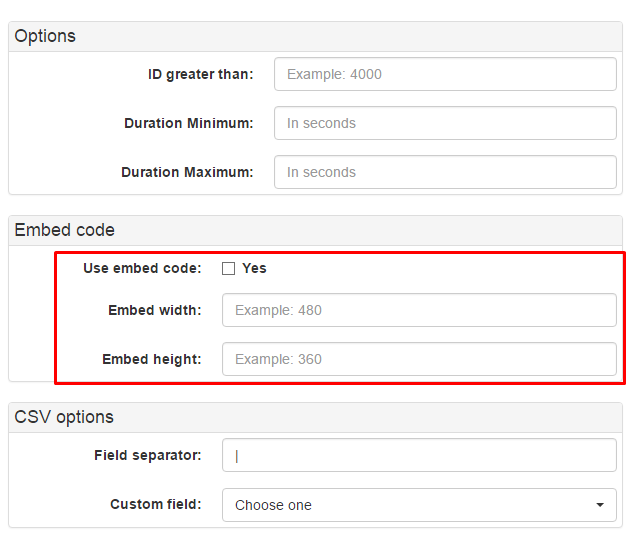 a) Use this mark if you need to get Embed Code in a feed. a) 'Field separator' determines the type of field separation in the feed table. You can put any type of separator you want ( |, :, ;, "," etc...). Which type of separation suits you depends on a type of script used by you. By default a separator "|" is setup - the majority of scripts support this type of separation. 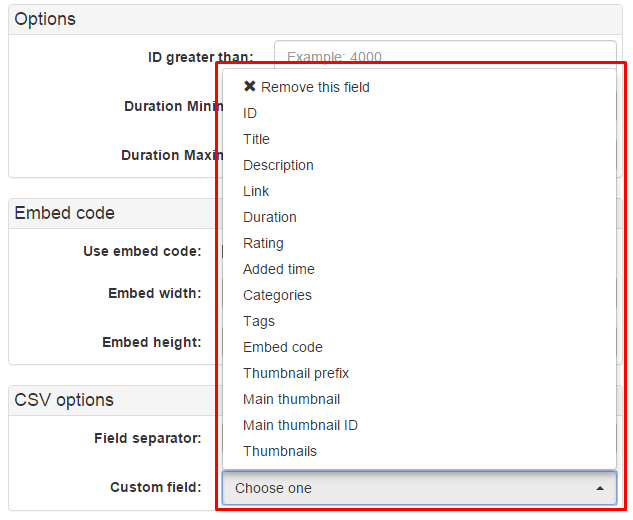 b) Field 'CSV options' allow you to add necessary fields to your feed, such as Title, Description, Thumbs, Embed, etc.